← Yee-Haw! It’s Another Blog Round-Up! 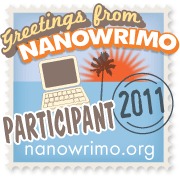 This entry was posted in Ramblings and tagged blog, obligatory post. Bookmark the permalink.